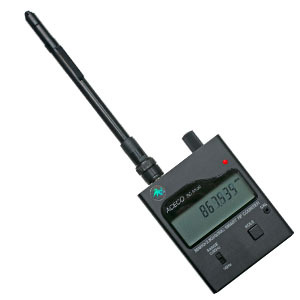 The Aceco SC-1PLUS hand-held radio frequency counter is compact, truly pocket-sized, versatile test instrument designed for measuring any digital, on/off keying or analog signal on frequencies between 30 MHz and 2.8 GHz. Supplied as a complete with internal NiCd pack, AC wall charger and 7 section telescopic antenna. •Frequency counter for digital, on/off keying and analog signals with a minimum pulse width of 250 uS. •Two range positions - the 1 GHz position for frequencies between 30 MHz and 1 GHz and the 2.8 GHz position for frequencies between 500 MHz and 2.8 GHz. 1.SQL Knob - This knob turns the RF counter on and tunes the squelch up or down to set the signal strength for reception. 2.Range Switch - This should be switched to the 1 GHz position for frequencies between 30 MHz and 0.8 GHz and switched to the 2.8 GHz position for frequencies between 500 MHz and 2.8 GHz. 3.Hold Button - This holds the current display and stops the counter from counting. 4.Calibration - The calibration adjustment opening is located on the front panel of the counter. This allows access to the trimmer capacitor that provides about a 10 PPM adjustment range of the time base oscillator. This is not usually necessary but to do so read a signal of a known frequency before adjusting the trimmer for correct frequency display. If you calibrate at 4.1943 MHz or above then the counter will be more accurate. Aceco Electronics, Corp. guarantees the RF counter and its accessories for one year against defects in manufacture. 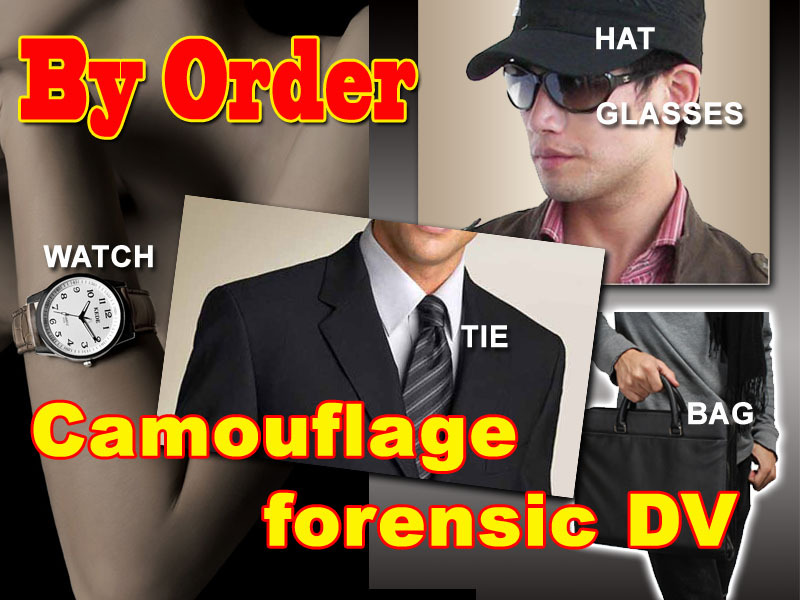 This warranty does not cover items that have been modified, subject to unauthorized repairs, misuse or abuse. This warranty does not cover damage caused by excessive power levels applied to the signal input. Never make any kind of connection between the RF counter and a transmitter. This RF counter can operate for up to six hours from its fully charged NiCd batteries. They are charged when the unit is plugged into the supplied AC/DC adapter. Full recharge will occur over 12 to 16 hours. Before recharging the batteries you should be deep cycled occasionally by allowing them to completely discharge to maintain maximum battery capacity. The NiCd batteries should last for several years. However, it is a good idea to check them every twelve months for signs of corrosion or leakage. Always replace the whole set if any one cell fails. When using the RF counter with an antenna for signal pick up, random frequencies may appear on the display. This is quite normal and is caused by the high gain of the receiver circuits, which amplify noise in the absence of a strong readable signal. Never get the unit too close to a transmitter as internal damage will result. The supplied telescopic antenna is best for general purpose use. This is because its length can be adjusted to suit the frequency required. Usually you will want a shorter antenna for UHF and a fully extended one for VHF / HF. The distance from which you will be able to receive frequencies will depend upon the type and location of the transmitting antenna, transmitter output power and the frequency in use.